Comic Quest is a large, friendly store that sells comics, books, games, toys and more…for every niche of geeky pop culture! 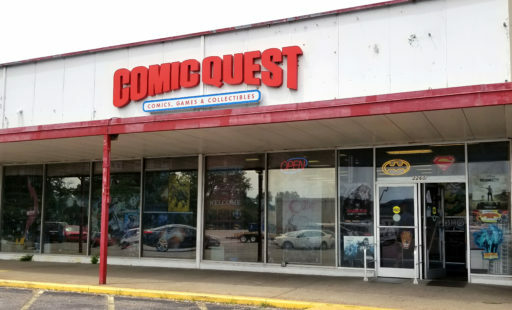 Comic Quest first opened more than 27 years ago as a comic book store geared towards serious collectors or casual readers who were tired of dealing with the high prices commonly found at other comic book stores. Over the years the store has grown to include board games, card games, manga, toys, posters and much more. Owned and staffed by enthusiastic comic book collectors and readers, boardgamers and others who are passionate about geek culture, Comic Quest carries one of the largest selections of comics, back issues, action figures, statues, movies, books, posters, model kits, graphics novels and board games. Our knowledgeable staff is always on hand to answer any questions and special orders are always welcome.